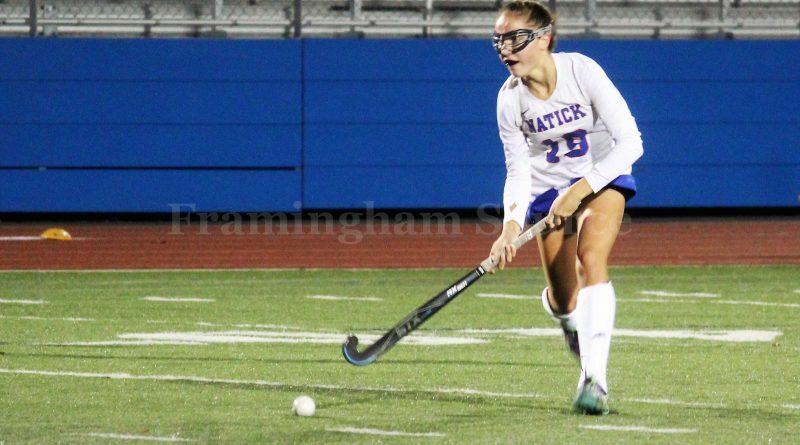 NATICK – The Natick Red Hawks field hockey team, after shutting out Framingham 5-0 on Halloween, shut out #5 seeded Beverly High 4-0 to end the week; and advance to the semifinal round of the MIAA Division 1 North tournament. The #4 seeded Red Hawks have scored 9 goals in two games and are now 14-2-2 this season. Natick will now travel to Reading for a game against Andover High, which upset #1-seeded Acton-Boxboro 1-0. Andover is seeded #8 in the tournament and have a record of 13-2-5. They defeated #9 Winchester in overtime 2-1 in the opening round. The Natick vs Andover game is scheduled for Thursday, Nov. 8. Time has yet to be announced.